Valiant are obviously fans of The Office. Overwatch League team Los Angeles Valiant have announced their new roster in a video parodying the introduction of the hit U.S. sitcom The Office. The video, which was posted on YouTube today, stars Head Coach Byung-chul Moon posing as Steve Carell’s Michael Scott, alongside each of the LA Valiant members playing the parts of some of their favorite characters in The Office. This includes support/DPS player Young-seo “KariV” Park as Dwight Schrute, shredding a piece of paper with “DIVE” written on it. As well as support Scott “custa” Kennedy as a convincing-looking Jim Halpert mid-phone call, highlighting the words “learn how to play brig” as he nods to an imagined client. We like to think it’s Jeff Kaplan on the other end of phone. It also included a sheet of paper with “old memes, in-and-out,” and “times used: too many,” in addition to plenty of Overwatch Funko Pop! figures, and finally, as an added extra, someone’s poor mouse engulfed in bright yellow jello. 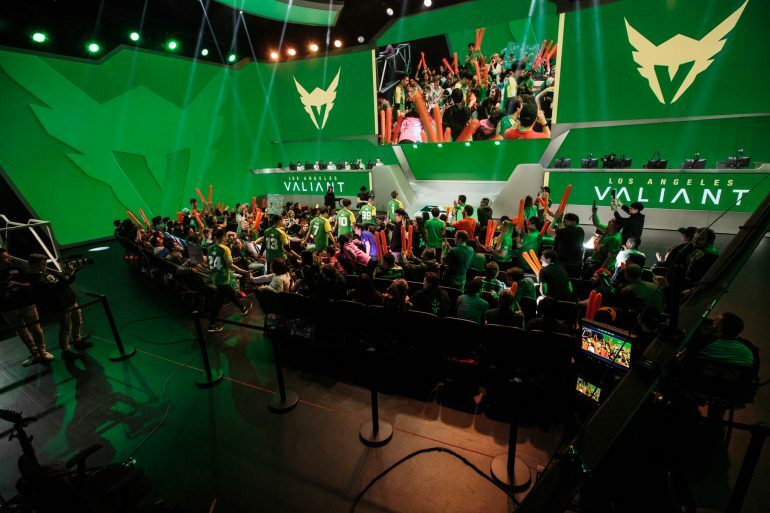 LA Valiant haven’t announced any new players since main tank Dae-kuk “KuKi” Kim joined the team in September 2018. The new video doesn’t provide us with any more information, expect that the team, or at least their PR company, are well accustomed with The Office and meme culture. The regular season of the Overwatch League is scheduled to start on Feb. 14, and run through to Aug. 25. LA Valiant will put their new roster to the test up against Chinese team Hangzhou Spark on Feb. 16.